Tiger shovelnose catfish are originally found in the Amazons in the La Plata, Corintijns, Essequibo, Orinoco and Paraná River basins. They can however today be found in a number of other places around the world where they have been introduced. One such example is that you today can find Tiger Shovelnose Catfish in a number of South African waters. The Tiger Shovelnose Catfish (Pseudoplatystoma fasciatum) can grow very big and reaches a length of at least 1.2 m / 4ft. There are reports that they can grow to twice that size. They seldom grow larger then 1 m / 3.3ft when kept in aquariums. The species grows quickly and will soon need a large aquarium even if you buy a small specimen. One year old fish can easily be more then 40 cm / 1.3 ft long. You might be able to slow their growth rate a little by feeding them less often but they will still grow to huge catfish and you will need an aquarium of at least 1000L / 200 gallon if you want to keep Tiger Shovelnose Catfish. 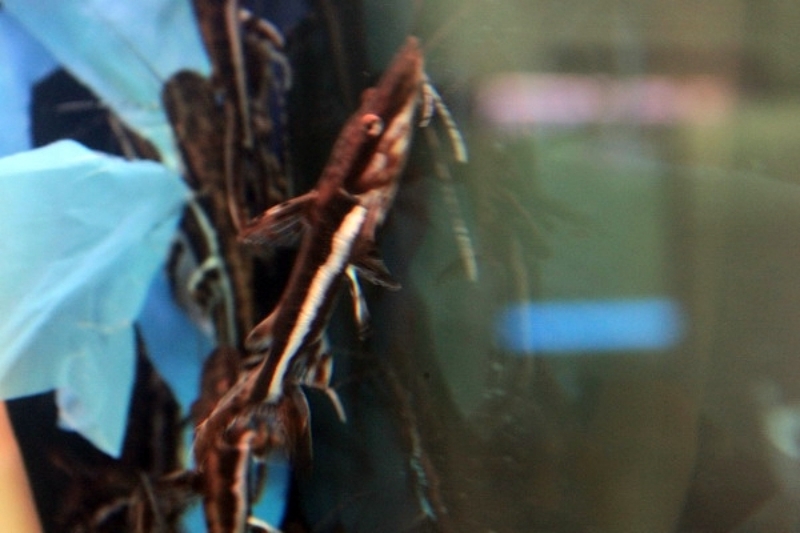 The characteristic pattern that gives Tiger Shovelnose Catfish their name isn’t developed in small specimens and they need to grow to about 15 cm / 6 inches before they start to display their beautiful stripe pattern. A Tiger Shovelnose aquarium should be decorated using large rocks or fine grained sand to cover the bottom. Gravel should be avoided since the catfish will eat gravel when hunting for other food and the gravel can’t always pass through their system. Use a couple of large pieces of bogwood or rock to create large hiding places where the fish can rest. 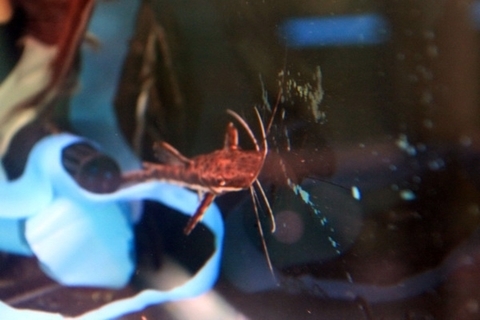 Tiger Shovelnose Catfish does not like to small spaces and you should avoid creating such spaces when decorating. This species is known to jump out of the aquarium or sometimes even break aquariums if they are kept in to small spaces/aquariums. 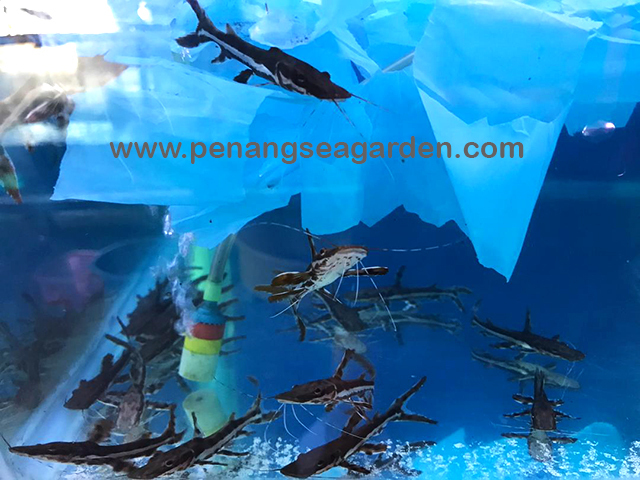 Tiger Shovelnose catfish are also very easily frightened and should therefore be given an environment they feel safe in and not be kept with other nervous fish that can agitate them further. They usually splash around a lot during water changes. 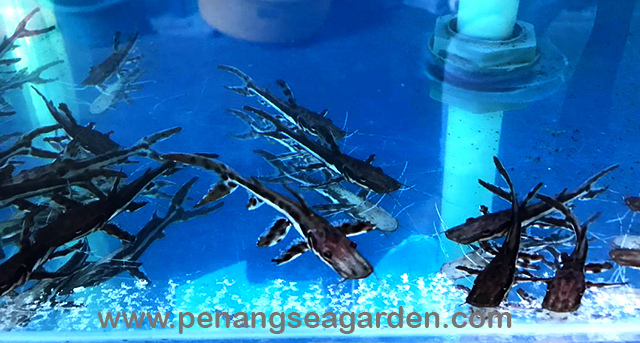 The water temperature should be kept around 22-26°C/72-79°F and the pH level 6-7.5, Tiger Shovelnose catfish are very tolerant in regards to water hardness as long as extremes are avoided. 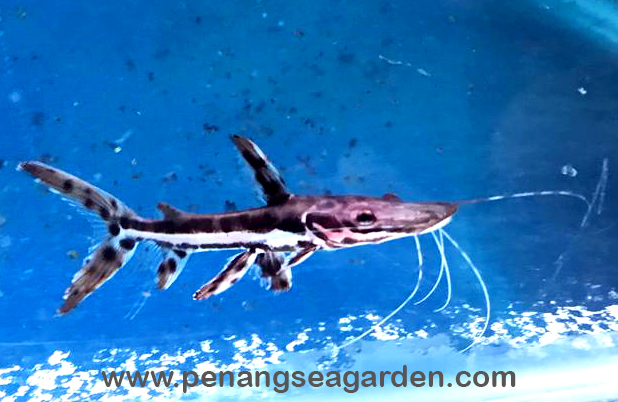 A Tiger Shovelnose Catfish aquarium tank should have good filtration since these fishes are sensitive to poor water quality. It is also beneficial to make two water changes each week to reduce the stress on the water. 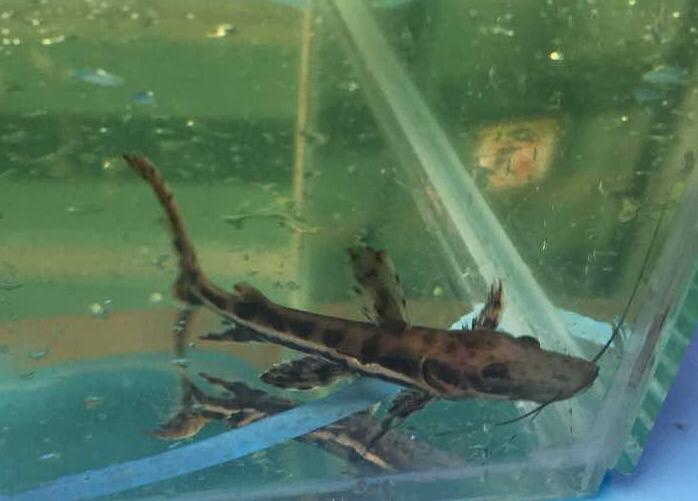 Tiger shovelnose catfish can be kept with most other species as long as their demands are similar and that they are large enough for the catfish to not look at them as dinner. They can usually be kept with aggressive species since there size earns them respect while they themselves are relatively non-aggressive towards other species that are to large to be eaten. 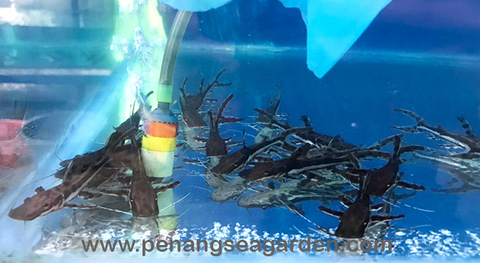 They are usually quite easily feed and will accept dead food (sometimes requires training) such as shrimp, crab, crayfish and fish meat. Tiger Shovelnose catfish loves living food and it is beneficial to give them feeder fish every one and then. Feeder fish and especially feeder goldfish should however never be their main diet.